Facilitated by Kevin Grossman, hear directly from Talent Leaders Cathy and Alana Bennett as they speak candidly about their initiatives, and the candidate feedback data they gathered and used to help guide their improvements. The same candidate feedback data that also led to some the highest positive candidate ratings in Talent Board’s benchmark research, winning them coveted CandE Awards. They’ll answer Kevin’s questions and yours as we get to the bottom of what Candidate Experience really is and why it eludes so many when it’s clearly so achievable for some. 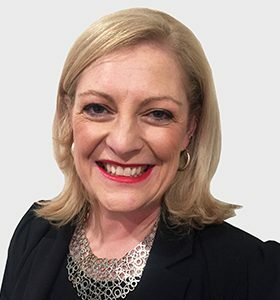 Cathy Riach joined BAE Systems Australia in June 2001 in a business unit based human resources role. Following a secondment to build a shared services talent acquisition model, she assumed responsibility for the leadership of the national talent acquisition function. Her role evolved over time to include responsibility for redeployment, workforce planning support and outplacement. In early 2019 Cathy transitioned into a newly created role of Employment Brand & Partnerships Manager. In her current role she is responsible for the development, enhancement and management of the company’s employment brand encompassing EVP, candidate experience, talent partnerships and diversity hiring strategies. Prior to joining BAE Systems, Cathy worked for the Morgan & Banks group. She holds qualifications in human resources, industrial relations and workforce planning. Cathy is a certified member of the Australian Human Resources Institute and sits on the committees for Women in Aviation & Aerospace and The Future Through Collaboration, a cross industry initiative to advance women in the defence industry.